Following the conclusion of the Legend-Anniversary-Underworld trilogy, Tomb Raider developer Crystal Dynamics chose to completely reboot the franchise. The game that followed, titled simply TOMB RAIDER, was designed to tell the origin story of the greatest heroine in video games, tracing her ascent from a frightened young woman to a hardened survivor. As the game begins, Lara and her comrades are shipwrecked on a mysterious island in the Dragon's Triangle. Armed only with raw instincts and the strength to push beyond the limits of human endurance, Lara must fight to unravel the island's dark history and escape its relentless hold. Platforms: Windows, PlayStation 3, Xbox 360. Later Mac OS X, PlayStation 4, Xbox One. Game Info: TOMB RAIDER was released March 5, 2013. The list of bullet points below includes spoiler-free highlights and links to additional information. The most recent TOMB RAIDER trailer, titled "Survivor," premiered December 7 on Spike's 10th Annual Video Game Awards. I'd love to hear what you think of it. Leave a comment on my YouTube channel or Tomb Raider Blog. 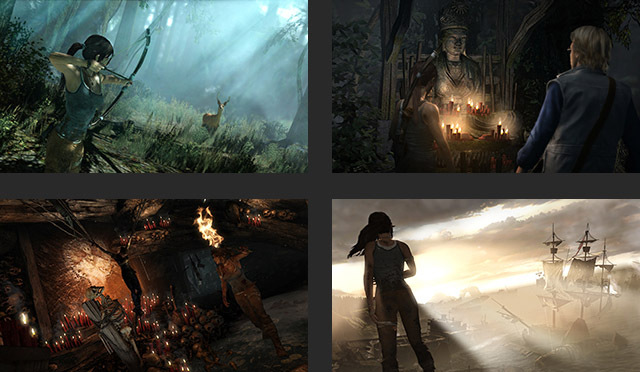 More videos, screenshots, concept art and other goodies can be found in the TOMB RAIDER media section. The Tomb Raider Definitive Edition came out at the end of January 2014 for PS4 and Xbox One. The gameplay and content are the same as the original game, but the TRDE comes with all the downloadable content and many tasty graphics enhancements. More info and FAQ in this blog post. Although the tagline "A Survivor is Born" and the hashtag "#reborn" have been used to promote the game, its actual title is simply: TOMB RAIDER. TOMB RAIDER was developed by Crystal Dynamics, the same studio that created Tomb Raider: Legend, Anniversary and Underworld, as well as Lara Croft and the Guardian of Light, and will be published by Square Enix. The game begins with a 21-year-old Lara Croft shipwrecked on a mysterious island in the so-called "Dragon's Triangle" off the coast of Japan. Before the accident, Lara is part of a group searching for Yamatai, the island domain of the legendary shaman queen Himiko. The expedition leader, an older man named Conrad Roth, can be seen in the game trailer and some of the screenshots. He is Lara's mentor, and she must help him survive when he becomes injured. In retelling Lara's origin story, the developers have said they hope to make her a more complex, human and culturally relevant hero, in part by putting her in an extremely dangerous and challenging situation through which she will ultimately prevail. This time around there is no real-life model representing Lara for promotional events; however, the game will employ extensive use of motion-capture technology. Camilla Luddington has provided both voice and motion capture for the Lara Croft character. She has appeared at various press events, though not in costume as a promotional model. The game was built using an updated version of the Legend-Underworld engine—the same engine used for Eidos Montréal's Deus Ex: Human Revolution—allowing for more realistic, physics-based interactions within the game world and much greater freedom of movement for Lara. The camera has also been completely revamped so as to move more dynamically and react to the in-game situation—closer to Lara in tight spaces, father back during combat, etc. Tomb Raider staples like puzzles, combat, exploration and action will still be the foundation of the game but will be more realistic and more fully integrated into the basic survival storyline. Although the press has speculated on the game drifting into survival-horror territory, this is not a Resident Evil or Silent Hill type game. There are definitely some scary and gory bits, but the game is much more 'survival-adventure' than 'survival-horror'. The auto-targeting feature used in previous games has been replaced by a free-aim system. Weapons include a bow, pistol, rifle and shotgun, as well as an axe, which Lara uses for climbing as well as self-defense. Lara starts out with practically nothing and gradually acquires each weapon and bit of gear. Players can upgrade Lara's equipment as they progress in the game. While not strictly "open world," the game is non-linear. Players can explore the island's diverse locations freely and can revisit areas as well as reach new areas as Lara's skills and equipment improve. However, there will be some scripted sequences that advance the story, and there is one main plot and one ending. Unlike past games, there is no health bar. Instead Lara's health/injury level is indicated by how she looks and moves, as well as by grime/blood spatter on screen during action sequences and combat. Health packs will not be required, and Lara's injuries will heal gradually over time. A system of "base camps," allow players to fast travel among various areas on the island. Base camps also provide opportunities to examine and combine inventory items and access an RPG-like skill system to enhance Lara's abilities. Check out this video, the Guide To Survival Episode #2 for details. There are optional side tombs and numerous collectibles to be hunted down, offering additional exploration and puzzle-solving opportunities. There are multiple difficulty settings to make the game accessible to a wider range of players. 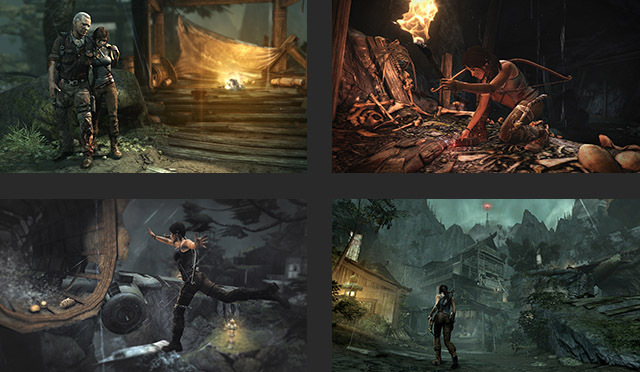 Changing weather conditions, Lara's improved gear and abilities, and the player's influence on the game world keep locations fresh when revisited. The game includes a hint system called "survival instinct," in which players can highlight clues and interactive elements in the game world by pressing a button. There are no vehicles and no swimming. That isn't to say Lara can't swim, just that the opportunity doesn't happen to arise. As in the original game, Lara has only one outfit—she's stranded far from civilization after all—however, the state of her clothes will evolve over the course of the game as she interacts with the environment. Additional costumes are available as downloadable content. At the heart of it all is a mystery reminiscent of the TV show LOST. What is this island all about? Who are its strange inhabitants? Why is it seemingly impossible to escape? Lara—and the player—must discover the truth. According to the developers, the characters and storyline are vital components of the game. 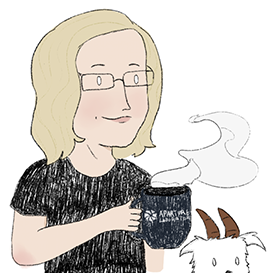 TOMB RAIDER's story is a collaboration between in-house and outside writers, including Lead Writer Rhianna Pratchett, whose credits include Heavenly Sword, the Overlord series and Mirror's Edge. More about Rhianna here and here. There is also an optional multi-player mode in addition to the main, single-player storyline. For details check out these recent blog posts: "Tomb Raider Multiplayer Details Emerge" and "Tomb Raider Multiplayer Hands-On Preview." The game is available for Windows PC, PlayStation 3 and Xbox 360. The PC version is digital download only (no physical DVD) in the Americas. Both downloadable and DVD versions will be available in Europe. The developers have said they're looking into Macintosh version sometime in the future, but nothing has been finalized. There are no plans to release the game on Nintendo Wii or Wii U. Players can expect about 15 hours of gameplay, provided they take no detours and just play through the storyline. However, there are plenty of side areas to explore, collectibles to go after, and opportunities to revisit areas where you've already been. ALL PC VERSIONS, EVEN THOSE INSTALLED FROM A DVD, REQUIRE A STEAM ACCOUNT FOR ONLINE UPDATES AND ACTIVATION. 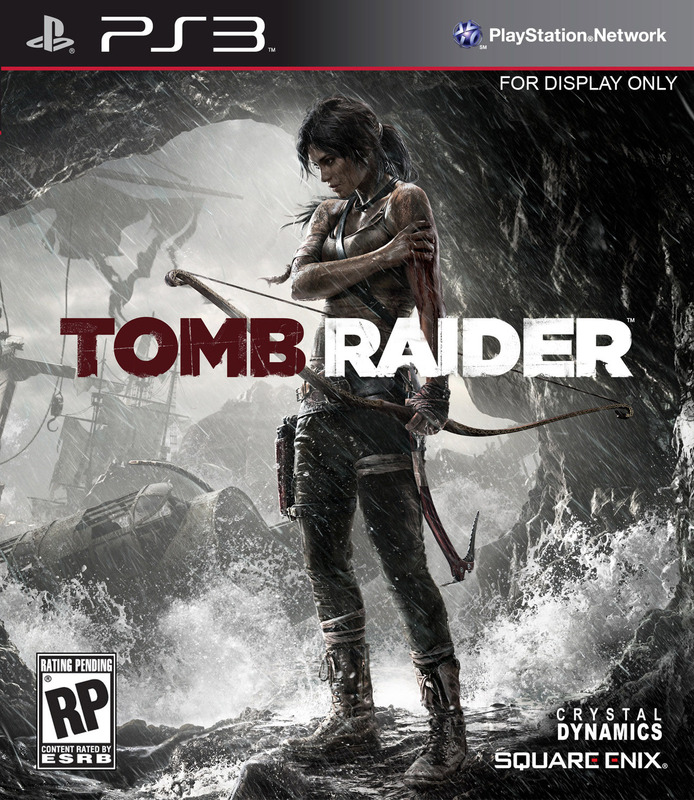 This walkthrough applies to both the original PC/PlayStation/Xbox release and Tomb Raider Definitive Edition for PS4/Xbox One. Controls and Gameplay Tips - A detailed introduction to the game mechanics including controls for PC, PS3 and Xbox 360; tips on saving/loading games and checkpoints; experience points, base camps and fast travel; health and healing; weapons, ammo, hunting and combat; challenge tombs and collectibles; plus how to use the in-game map and inventory screens. Quick Guides to all Collectible Items - In addition to the complete walkthroughs for each level, these short guides will help you find any documents, relics, GPS caches, treasure maps, and challenge items you may have missed. Additional content, including PC Save Files, Achievements and Trophies, are included in the sidebar under Related Pages.